An artist’s conception of a free-floating planet-analog courtesy of NASA/JPL. There may be a large number of undetected bright, substellar objects similar to giant exoplanets in our own solar neighborhood, according to new work from a team led by Carnegie’s Jonathan Gagné and including researchers from the Institute for Research on Exoplanets (iREx) at Université de Montréal. It is published by The Astrophysical Journal Supplement Series. Similarly-aged stars moving through space together in a group—described by astronomers as an association—are of great interest to researchers, because they are considered a prime target to hunt for brown dwarfs and free-floating planet-like objects. 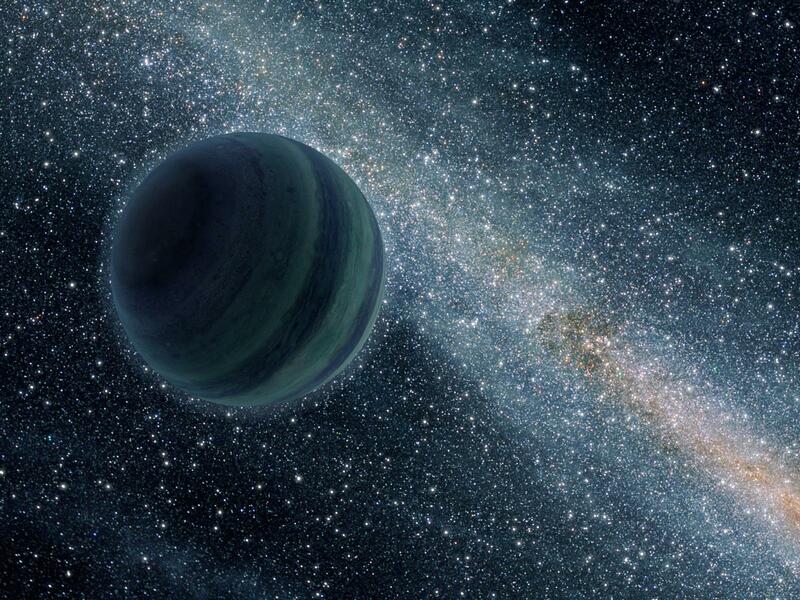 Recent studies of an association of stars called TW Hya have revealed some of the first known isolated giant planet-sized objects in the neighborhood of our own Sun, about 100 light years away. This group contains a few dozen 10-million-year-old stars, all moving together through space. In order to determine whether or not there are more stand-alone planetary mass-sized objects like these in the TW Hya association, Gagné and his team undertook the calculation of an astronomical measurement called the initial mass function. This function can be used to determine the distribution of mass in the group and to predict the number of undiscovered objects that might exist inside of it. “The initial mass function of TW Hya had never been published before,” Gagné said. In the process of this analysis, the team was able to determine that there are probably many more objects between five and seven times the mass of Jupiter in the association that haven’t been discovered yet. “The TW Hya association extends out to a distance of ~250 light years, but our instruments aren’t sensitive enough yet to detect giant planets-like members at this distance, hence many of them might remain to be discovered,” Gagné added. The article BANYAN. IX. The Initial Mass Function and Planetary-mass Object Space Density of the TW HYA Association is published in The Astrophysical Journal Supplement Series, 228 :2 :18 (51pp) 2017 February. DOI: 10.3847/1538-4365/228/2/18. In addition to Jonathan Gagné (Carnegie Institution of Washington), the team includes Lison Malo, René Doyon, David Lafrenière, Étienne Artigau, Anne Boucher, Charles Brunette et Geneviève Arboit, from the Institute for research on exoplanets at Université de Montréal and 10 other co-authors.